Townsville City Council Environmental Health Officers (EHOs) are delegated the responsibility for enforcing the Public Health (Infection Control for Personal Appearance Services) Act 2003 legislation which regulates personal appearance services such as hairdressing, beauty therapy, body piercing and tattooing. The purpose of this Act is to minimise the risk of infection that may result from the provision of personal appearance services. Personal appearance services are classed into two categories, higher risk and non-higher risk. Only those activities classed as "higher risk" personal appearance services are required to be licensed with Council. Acupuncture is regulated under the Public Health Act 2005 and is not classified as a personal appearance service or a licensable activity with Local Government. For further information about acupuncture activities contact Queensland Health. Tattooing (including cosmetic tattooing or semipermanent make-up). Whether accidental or not, personal appearance services that involve skin penetration can spread blood-borne diseases such as HIV, hepatitis B and hepatitis C and are therefore deemed "higher risk" activities. These diseases are spread by blood-to-blood contact due to contaminated instruments from an infected person being used on another person without adequate precautions. Higher risk personal appearance services are required to be licensed with Townsville City Council and are regularly inspected by EHOs to ensure compliance with hygiene regulations. Closed ear and nose piercing. Although these activities are considered "non-higher risk" personal appearance services, they still have the ability to spread superficial infections such as staphylococcal bacteria, cold sores, ringworm, scabies and head lice. There is also the potential to cause blood-borne disease inadvertently by penetrating the skin with instruments; therefore operators still need to comply with the Infection Control Guidelines. Planning and Development Services to determine if any planning approvals are required. Building Department to discuss and building requirements. Water and Wastewater Department to determine if any tradewaste approvals are required. Contact the Customer Service Centre to be referred to discuss your requirements with these departments. What do I need to do to comply with the legislation? The Act requires all proprietors of all personal appearance services (including both higher risk and non-higher risk) to take all reasonable precautions and care to minimise the risk of infection to their clients, and to ensure their employees do the same. Queensland Health has developed the booklet What Business needs to know about Personal Appearance Services to assist businesses in implementing measures to minimise the risk of infection. Fixed or mobile premises which provide higher risk personal appearance services need to comply with the building standards in the Queensland Development Code. Operators who carry out higher risk personal appearance services must complete minimum training requirements before they can carry out any procedures - HLTIN402B - Maintain Infection Control in Office Practice Settings. Training must be carried out by a registered training organisation. 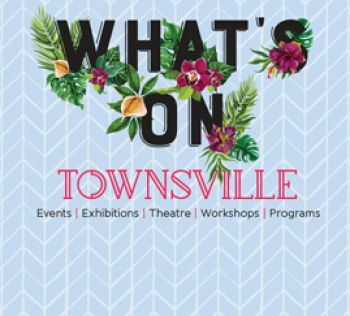 A copy of employees attainment certificates are required to be submitted to Townsville City Council, Environmental Health Services. If a licensee intends to provide higher risk personal appearance services from mobile premises in another local council area that is not in the local council area where the licence was issued, then the licensee must notify the other local council at least seven days before doing so. This includes providing information about the details of the licence, and when and where the licensee intends to provide services in the area. Notification may be given by phone but must be promptly confirmed in writing. When providing services in another local council area, the licensee's obligations under their licence continue to apply. Prior to the operation of an higher risk personal appearance service, the following steps are completed are required to be completed. Planning and Development Services to determine if any planning approvals or building certification is required. Contact the Customer Service Centre to be referred to the above departments. Complete all appropriate details on Environmental Health Services - Application for a Higher Risk Personal Appearance Service. Please refer to the guide - Design and Construction Criteria when completing your application. Ensure that you include copies of each operators Certificates of Attainments (Infection Control Training) to demonstrate that all persons who will be carrying out skin penetration procedures have met the minimum training requirements. Submit the application, together with at least two copies of plans including elevations (1:100) and the associated application fee to Environmental Health Services for assessment. Receive your conditional approval from Environmental Health Services. On your approval letter, there will be contact details for the Environmental Health Officer (EHO) dealing with your application. Don't hesitate to contact your EHO with any queries. When you are close to completing construction, phone your EHO and arrange a final inspection. Give you approval to operate and issue your licence. Your licence will be mailed out separately. For further information about personal appearance services please refer to our fact sheets or contact Environmental Health Services.